Ever since reading Tintin books whilst on French exchange and noticing that in the French edition Snowy does not bark ‘woof woof’ but instead ‘wouah wouah’ I have been fascinated at how different languages communicate onomatopoeic animal sounds. A couple of years ago I decided to do some research and after badgering friends, teachers and friends of friends to offer up their bilingual friends, I was able to discover more about how animal sounds differ around the world. From this research I wrote a sample chapter for a book that never came into being. Picture a dog. Imagine the dog has caught sight of a cat and is now barking enthusiastically. Visualise those doggie speech bubbles floating through the air. If you are an English-speaker I bet the dog was barking ‘woof, woof’. Yet ask a French, Japanese or Russian person and they will argue it is barking something else entirely. Why is it that these onomatopoeic animal sounds show such differences around the world? Consider how we learn animal sounds. They are often one of the first sounds we are taught as children. Even before we can say the word ‘dog’, we are taught to mimic its bark. Countless children’s books and nursery rhymes revolve around animals and the noises they emit. As a parent myself I know how it becomes an impulse almost every time I see an animal to parrot the noise at my children and delight in them sounding it back at me (so much so I frequently finding myself mooing at cows even when there are no children around). So it is from our parents that we first learn to associate certain animals with certain sounds. However, family history and circumstance may dictate one child learning that a dog says ‘arf arf’ while another household (perhaps populated by a pet Yorkshire Terrier) might be taught ‘yap yap’ but more on dogs later. Ultimately, as we are ushered into formal education and made to join in with a rousing rendition of ‘Old MacDonald’ the animal noises we learn become standardised until we are all singing from, sometimes literally, the same hymn sheet. Thus from our early years it becomes second nature to connect a certain sound to each animal, so much so that it seems quite wrong when we come across linguistic alternatives. The pantheon of animal sounds can reveal interesting divergence and at times convergence across the nations. Let us begin then with a sound that inspires widespread linguistic agreement: the bleat of a sheep. In English we use the slightly nebulous ‘baa’. My research has indicated that we are the only language to use this exact sound. Swedish uses the visually similar ‘bää’, however the ä sound in Swedish is pronounced more like ‘ai’. ‘Baa’ has a long historical root in the English language – records suggest that as far back as the 1580s a child’s toy in the shape of a sheep was named ‘baa’. The much-loved and enduring nursery rhyme ‘Baa Baa Black Sheep’ probably accounts for Britons’ strong attachment to the word. The rhyme was first noted in written records in Tom Thumb’s Pretty Song Book c.1744 but is likely much older than this, The Oxford Dictionary of Nursery Rhymes suggests it originates from c.1275 when an export tax on wool was introduced. In 1888 Rudyard Kipling used the rhyme as the title for an autobiographical short story. All this has probably ensured a particularly strong association and agreement that in the English language sheep bleat ‘baa’. 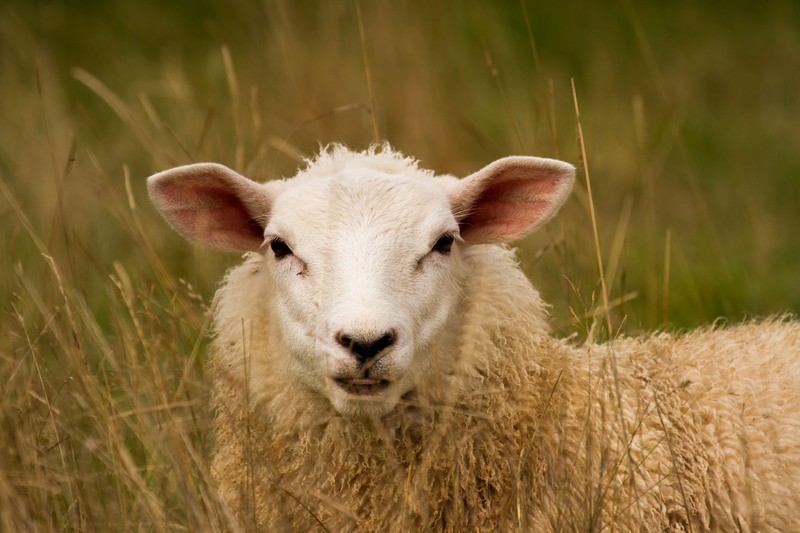 The rest of the world (and I have to say, they have a point) mainly err towards sheep making a ‘beeee’ or ‘meeee’ sound – so why have the English stuck with ‘baa’? I wonder if in part it is to differentiate between the sound that a sheep makes and that of a goat (a differentiation which probably only became useful for singing songs such as ‘Old MacDonald’ where each animal needs their own distinct sound). Goat and sheep are both said to “bleat”, yet a goat in English would say ‘naa’, therefore a sheep needs to be noticeably different, hence ‘baa’. It is interesting to note that according to the American Heritage Dictionary in American English ‘baa’ is used for both sheep and goats. Globally the main linguistic difference comes in whether the sheep is perceived to bleat with a ‘b’ sound or an ‘m’ sound. In most Asiatic languages the ‘m’ sound is used. The Japanese say ‘meeeh’, in Korean it is ‘me-e’, Mandarin ‘mie’ and Thai ‘mae mae’. However, most European languages opt for a ‘b’ sound thus Russian – ‘be-e-e’, Dutch ‘beeeh’, Italian ‘beh’, Spanish, Portuguese, Greek and Croatian all using ‘beee’. This seems to prove that sheep universally emit a clear noise that has inspired general linguistic agreement. What noise do you use for a sheep? Have I made any mistakes or left out an interesting linguistic difference? Please leave a comment! < Having a silly name: help or hindrance? Indonesian >>> Embe or Embek or Mbek. I think each local dialects in Indonesia have their own word for sheep noises.